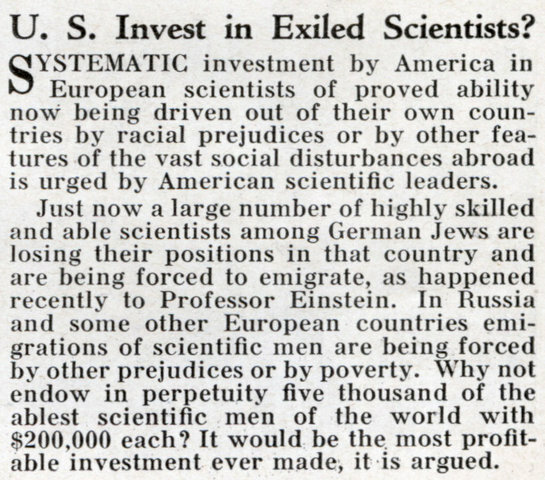 U. S. Invest in Exiled Scientists? 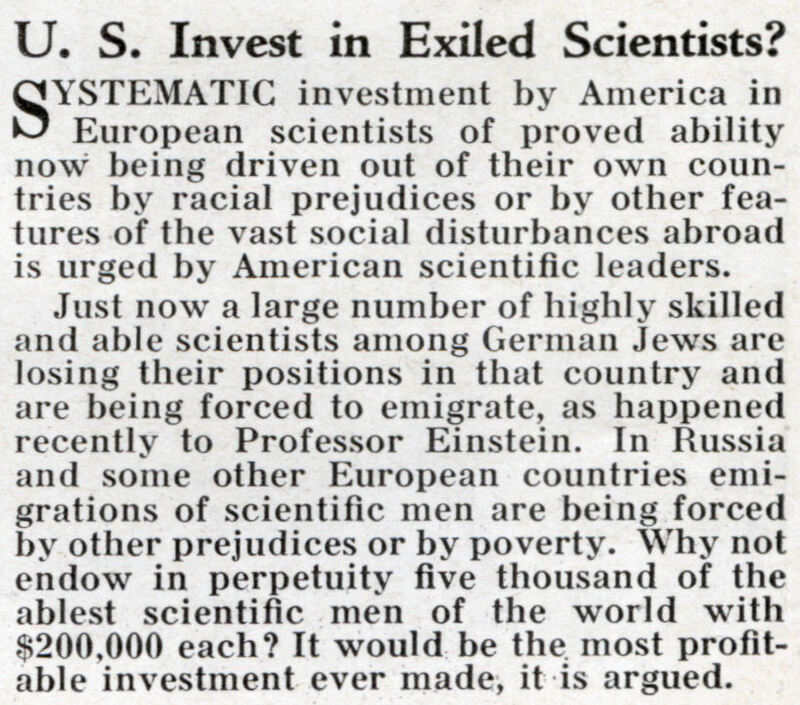 SYSTEMATIC investment by America in European scientists of proved ability now being driven out of their own countries by racial prejudices or by other features of the vast social disturbances abroad is urged by American scientific leaders. Just now a large number of highly skilled and able scientists among German Jews are losing their positions in that country and are being forced to emigrate, as happened recently to Professor Einstein. In Russia and some other European countries emigrations of scientific men are being forced by other prejudices or by poverty. Why not endow in perpetuity five thousand of the ablest scientific men of the world with $200,000 each? It would be the most profitable investment ever made, it is argued. 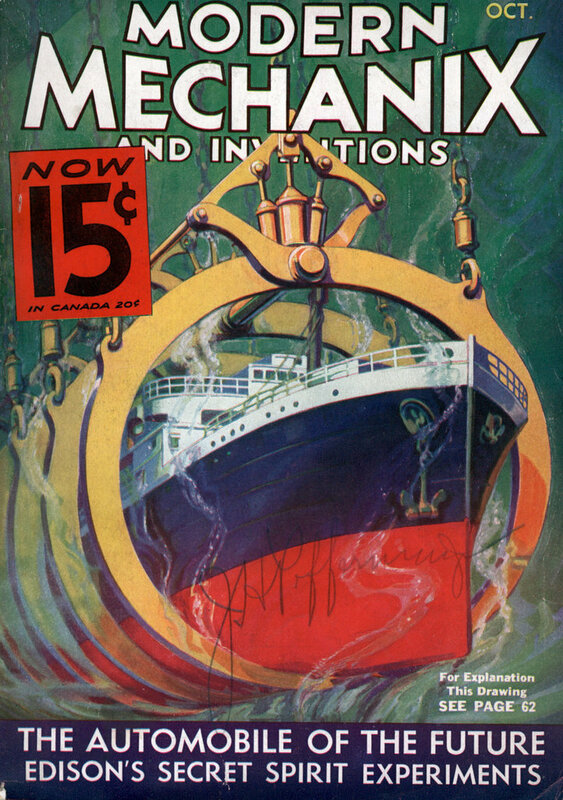 A Billion dollars in the middle of the depression? Or wait a dozen years and grab loads of them for no cost at all. France, the UK, Canada, and Australia, and to a lesser extent South Africa and New Zealand, all had growing universities that were looking to hire these refugees. The US wasn’t the only country in the world with universities and research facilities, even back then, and a bonus would have helped attract the best and brightest.